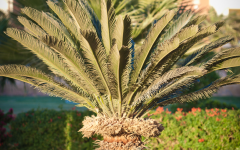 Sago Palms are incredibly toxic plants that are fatal to dogs & cats in 50-75% of ingestion cases. 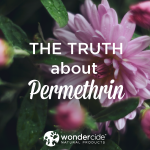 Check out our infographic and share to spread awareness about this dangerous houseplant. 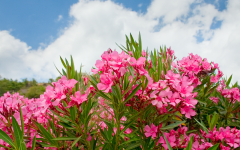 Oleander is a dangerous plant for dogs & cats. It affects the heart and can cause anything from drooling, nausea & vomiting to death in some cases. 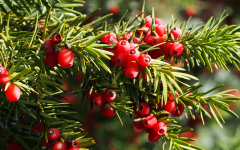 This is an evergreen bush that is poisonous to cats & dogs, causing issues with heart rate & blood pressure and seizures. It can be fatal as well. 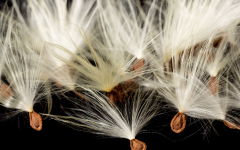 Another dangerous plant for pets, Milkweed is similar to Oleander in that it negatively affects the heart. 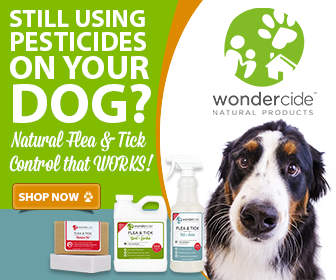 There is an antidote available for use in life-threatening cases. 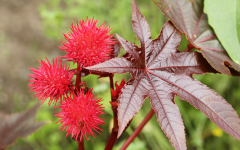 Castor Bean, like Sago Palm, is one of the most severely toxic plants for dogs & cats. 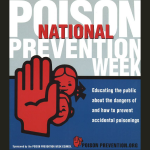 Even a small amount of the plant can be fatal if ingested. It’s best to keep these plants entirely out of reach of your pets. 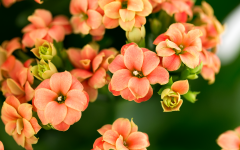 Like Castor Bean & Sago Palm, Kalanchoe affects cats’ and dogs’ hearts when ingested and can cause moderate to severe toxicity.